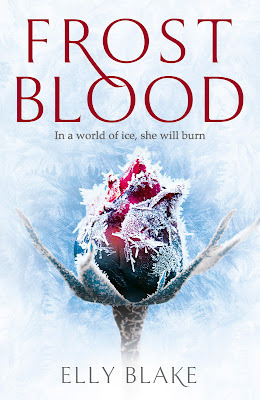 In a land governed by the cruel Frostblood ruling class, seventeen year old Ruby is a Fireblood who has spent most of her life hiding her ability to manipulate heat and light - until the day the soldiers come to raid her village and kill her mother. Ruby vows revenge on the tyrannous Frost King responsible for the massacre of her people. But Ruby's powers are unpredictable... And so are the feelings she has for Arcus, the scarred, mysterious Frostblood warrior who shares her goal to kill the Frost King, albeit for his own reasons. When Ruby is captured by the Frost King's men, she's taken right into the heart of the enemy. Now she only has one chance to destroy the maniacal ruler who took everything from her and in doing so, she must unleash the powers she's spent her whole life withholding. For generations, Firebloods have been coveted throughout the kingdom, the Frost King lineage decimating villages in their search for a Fireblood to fulfill the prophecy. Ruby is a Fireblood, her power unharnessed since her grandmother passed, her mother a simple healer who is determined to protect her only child. Until the soldiers pillage the small settlement and Ruby is captured attempting to flee. Abused and tormented, Ruby is imprisoned and awaiting her fate when she is freed and taken to the Abbey. Under the watchful eye of the monastery and Arcus, a lone Frostblood warrior as infuriating as he is handsome, Ruby is determined to avenge the destruction and senseless killings of impoverished villages and the genocide of the Fireblood lineage. Frostblood was enchanting and delightful, reminiscent of wondrous fairytales and captivating fables. Seventeen year old Ruby is a Fireblood in a kingdom under the tyrannical command of the Frost King, where villages are tormented and burnt to the ground in the search for Firebloods. 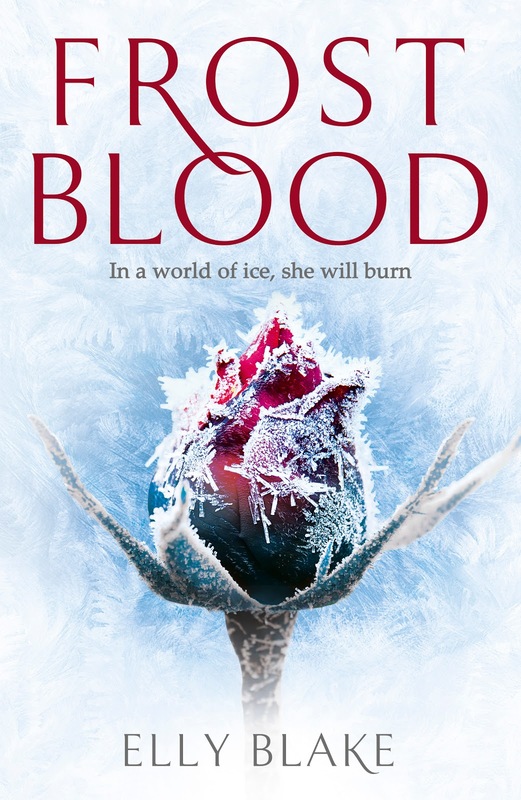 Ruby can create fire in a kingdom of ice and frost, making her a commodity. Ruby's narrative was compelling. Although she's aware of her ability to create fire, Ruby defies her mother's wishes and practices perfecting her craft each day under the guise of the forest canopy. She's feisty and blinded by revenge as the Frost King's guard burns her village to the ground and takes her captive only to be freed. Arcus is a character veiled in secrecy, hostile and detached as he begins to assist Ruby in cultivating her abilities. The tentative friendship was charming and incredibly entertaining as the two used thinly veiled insults to conceal their growing attraction. The romance was absolutely lovely, gentle and gathers a gradual momentum. Both Arcus and Ruby are tenacious and I loved their enchanting courtship amidst the insults and mockery. You don’t know the effect your words have on me, Lady Firebrand. It took years to build up this ice. You will melt it and then I will be broken. Blinded by revenge, both Ruby and Arcus share a common ambition, to abolish the Frost King and protect the monastery but the King has plans for the liberated Fireblood. I was enamored by the world Elly Blake envisioned, beautiful and captivating. I was pleasantly delighted by Frostfire. An admirable an enthralling debut that held me captive until the final page. Thanks Anisha. It surprised me as well. I loved the relationship between Ruby and Arcus, I can't wait to see what happens next! I adored this one too, especially because of that romance! I love a good romance built on banter and this was sort of the perfect one. I'm bummed though that the second book will have a love triangle, so I'm a little unsure if I'm going to finish this series. I'm glad you enjoyed it, Kelly! I'm hoping it just seems that way Nick and it'll be a non event. I loved the relationship that Ruby and Arcus had created. The wait for book two is going to be torture. I can't wait to read this one! I'm excited to read about the romance, more than anything. Lol. Fantasy, I could do without. Hahaha! I never used to be much of a fantasy reader either Joy, but found in the last year I've been getting right into them. This is mild fantasy and very character driven, I think you'll really enjoy it. Oh, I've been on the lookout for a good fantasy read since forever. This sounds like a cute book! I'd recently read a fantasy book kind of similar to this in that the two main characters were seeking to overthrow the current regime and fell in love with each other. However that book had the worst ending I'd ever read since reading Mostly Harmless by Douglas Adams, so I'm apprehensive about lovey-dovey YA fantasy for now. Still on the lookout, though. I think we get tired of the same tropes over and over. The romance in Frostblood is more banter and a friends to mutual appreciation then tentative romance. It's actually really lovely and I think you'll really enjoy this one. I love the banter too, you never know if they're going to kiss or kill one another. I can't wait to see what you think of it! Added it to my wishlist. I want to meet Arcus and Ruby! Ohh yes you do Christy, yes you do. I already had this on my TBR, but your review has flared up my enthusiasm. Beautiful and captivating = sounds like I'll be getting cranky when Shane tries to talk to me while I'm reading it lol. I practically inhaled this Sarah, I couldn't put it down it was just that captivating. Thanks Resh. It was such a wonderful read. It's wonderful Esther and has already been released. Might be worth checking your local library to order in a copy. I think you'll really enjoy Frostblood. I cannot wait to read this one! I was already so excited by the premise, and I'm so glad you were a fan! The world sounds enchanting, and I already want to learn more about the characters. Great review! Thank you so much Amanda. It's so lovely and enchanting, I can't wait to see what you think of it! It's been released already Lily, so no time like the present. The banter between the characters is brilliant and really adds to the atmospheric world building. Sounds like a beautifully written novel. I'm glad you enjoyed it so much. I like the the romance was done well too. It was truly lovely Lauren, I think you'd really enjoy Frostfire as well. It was pretty predictable, but I was so immersed Ailyn that it didn't bother me whatsoever. Just so entertaining and I have high hopes for book two as well. Bring it on! Thanks Zoe darling. It was so fabulously entertaining, can't wait to see what you think of it! This sounds cute :) I've been reading a bunch of fantasy lately (mainly urban though), it's such a wide ranging genre, I do like the sound of this one! I love the softer type, romantic young adult fantasy novels typically. I wouldn't consider myself a fantasy reader but have been loving them lately and really craving these types of reads. It was so wonderfully written. Ruby's power reminds me of The Grisha Trilogy for some reason. I'm glad you enjoyed this book! I tried reading that one actually but unfortunately didn't have a lot of luck getting into it. I really should try again seeing so many readers have loved it. Glad you enjoyed this! I'm hoping to get to it soon. The romance sounds sweet and setting sounds awesome! Great review, Kelly! It was really lovely Cyn, looking forward to seeing what you think of it. I was on the fence about this book, but you made it sound so lovely. And I think I would enjoy to meet this couple. In my usual manner I’ll wait for the next installment. Some reviewers complained about impendent love triangle. I have high hopes that the triangle might just be a teaser and nothing will come of it. It's not really present in this book so fingers crossed Ksenia. The next installment is out later this year. Oohh lala, this one sounds really good! I was a bit hesitant at first because it sounded like every other fantasy out there, but your review has me convinced that I should pick it up ;) I loveee how the romance sounds, and the main character's narrative also seems enjoyable! It's predictable but the banter and enemies to lovers romance was so lovely, I really enjoy romances with a bit of humour and banter. I would love to see what you think of it Aila. "The romance was absolutely lovely, gentle and gathers a gradual momentum" I think I will add this to my TBR :) .